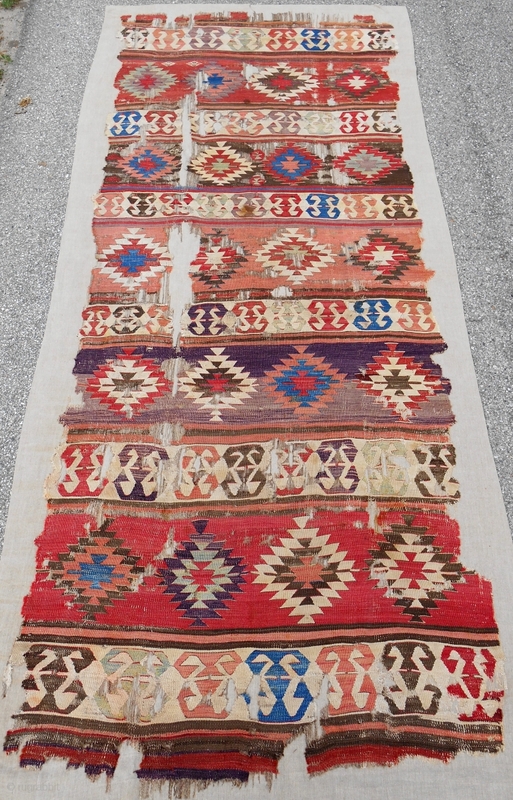 Early Central Anatolian banded "one-piece" kilim. Nearly complete. Conserved and mounted on linen. 18th c. or older. Sublime color.